What draws an Englisman's attention to Kamov? 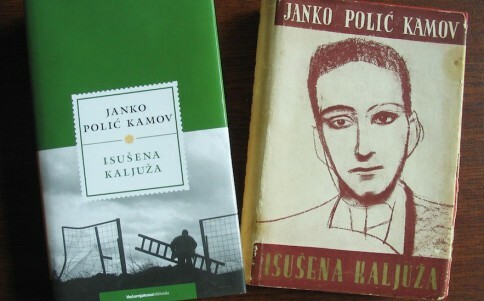 Janko Polić Kamov, a Croatian writer and a poet, died at a very young age, but left behind a major work of Croatian modernist literature: the novel ‘Isušena kaljuža’ (‘The Dried Up Mire’). Literary critics often agree that his work was way ahead of the worldwide movements which were to follow in the years after his death, like surrealism and modernism, with writers such as Joyce, Kafka and Camus later leading the way, and they often label Kamov’s work as ‘revolutionary’. However, Kamov’s novel and much of his work has never been translated into English and an Englishman living in Croatia, Martin Mayhew, is now working on translating Kamov’s important novel. Martin Mayhew has been living in Rijeka, Croatia, for about ten years; he first visited the country in 2000 as a journalist, but in 2003 he moved from his hometown of Brighton to the city of Rijeka, one of the main ports in the Northern Adriatic and a city known for having a lively cultural and also alternative scene, not much unlike his own Brighton. As his association with Rijeka grew stronger and stronger, it is no wonder, of course, that Martin, as a lover of good literature, also quickly found out about the works of Rijeka-born writer and poet Janko Polić Kamov who had been briefly active in the early years of the 20th century. Martin decided to embark on a challenging and difficult task – we could even call it a linguistic adventure – to translate Kamov’s most important work, “The Dried Up Mire”, into English. This has never been done before, probably owing mostly to the complexity of the task and the fact that Kamov’s work is still not well known and recognised outside the region – even though he is often compared to other modernists such as Joyce or Kafka. He recently published a few excerpts from his yet unpublished translation on his blog, hoping, of course, to be able to find a publisher who would be interested into bringing this key work of Croatian modernist literature one step closer to the English-speaking audience across the world. In the interview he gave to Dario Sušanj, Martin talked about Kamov's works grabbing his attention and the challenges he faced whilst working on this translation.